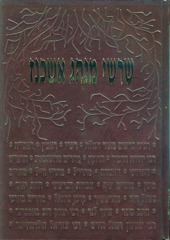 Machon Moreshes Ashkenaz, the Institute for German Jewish Heritage, is the leading institute dedicated to the research, preservation and transmission of the unique religious values, customs, and folklore of German Jewry, as they existed prior to the Holocaust. 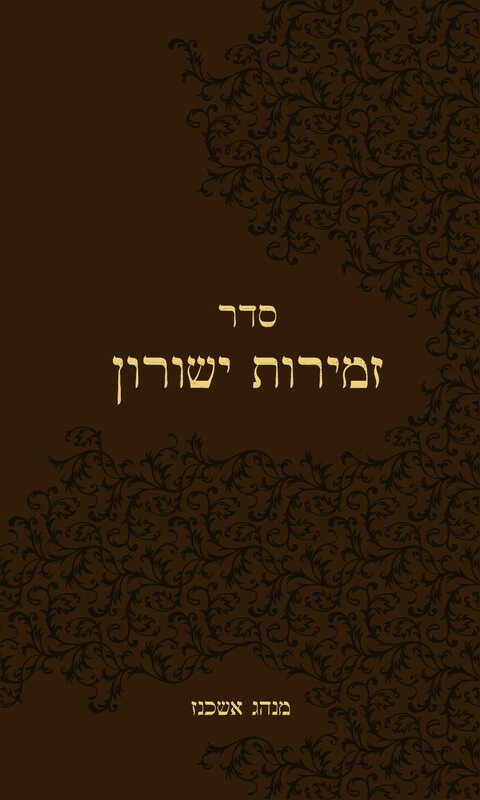 Volume 5 is currently available. Volume 6 and a second edition of volumes 1 and 4 are currently in preparation, and reprinting of the entire series is expected in the near future. 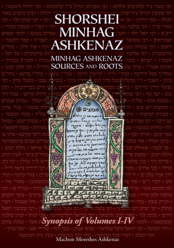 Foremost in the effort of Machon Moreshes Ashkenaz during the last thirty years to research, archive, preserve and disseminate the over-one-thousand-year-old, magnificent heritage of Ashkenaz has been the publication of this monumental series, which researches the evolution of German-Jewish customs and traditions, their development, origins and views surrounding them, in a detailed and clear format. 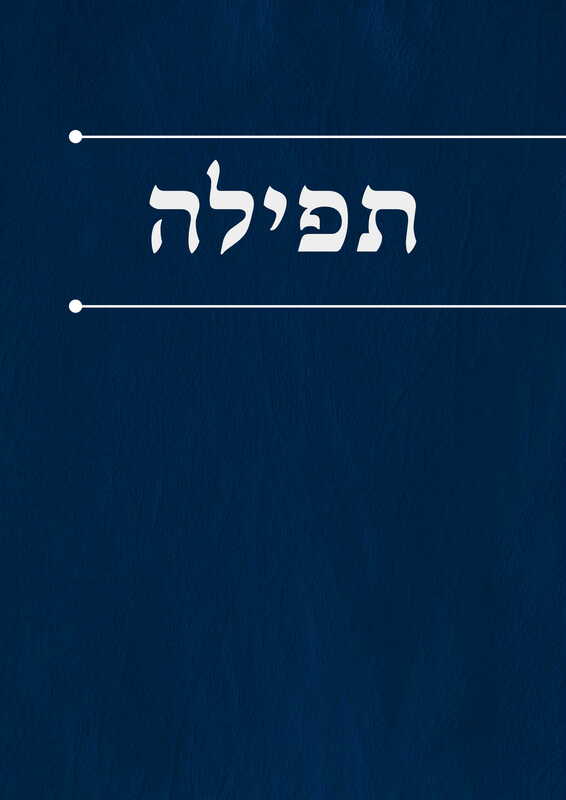 These books have become an invaluable asset for anyone with an interest in Jewish customs in general and German-Jewish customs in particular. 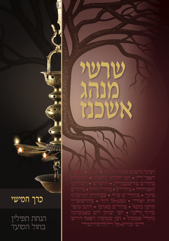 The series is intended to expand to tens of volumes, and currently includes a wide range of topics such as minhagim of tefillah and shul, Shabbos and Yom Tov, marriage customs, yoledes and bris milah, as well as a variety of other minhagim. 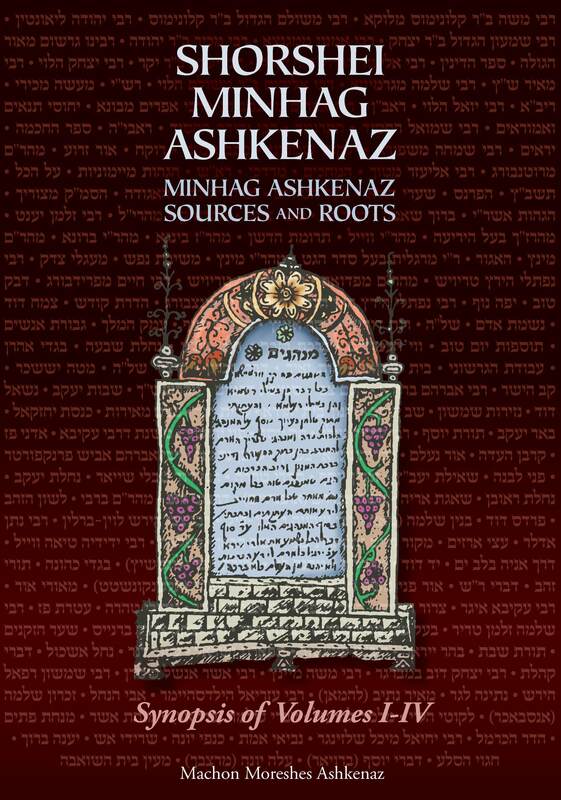 Foremost in the effort of Machon Moreshes Ashkenaz during the last thirty years to research, archive, preserve and disseminate the over-one-thousand-year-old, magnificent heritage of Ashkenaz has been the publication of the monumental series Shorshei Minhag Ashkenaz, which researches the evolution of German-Jewish customs and traditions, their development, origins and views surrounding them, in a detailed and clear format. 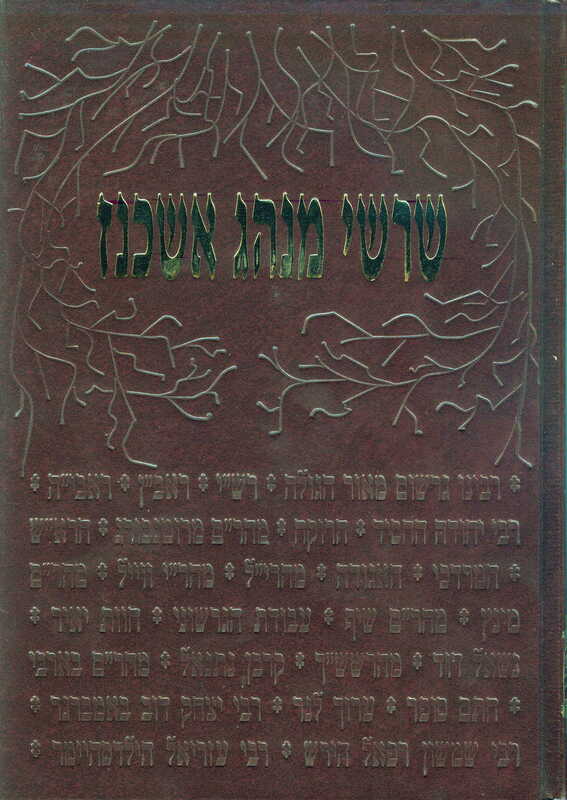 These books have become an invaluable asset for anyone with an interest in Jewish customs in general and German-Jewish customs in particular. 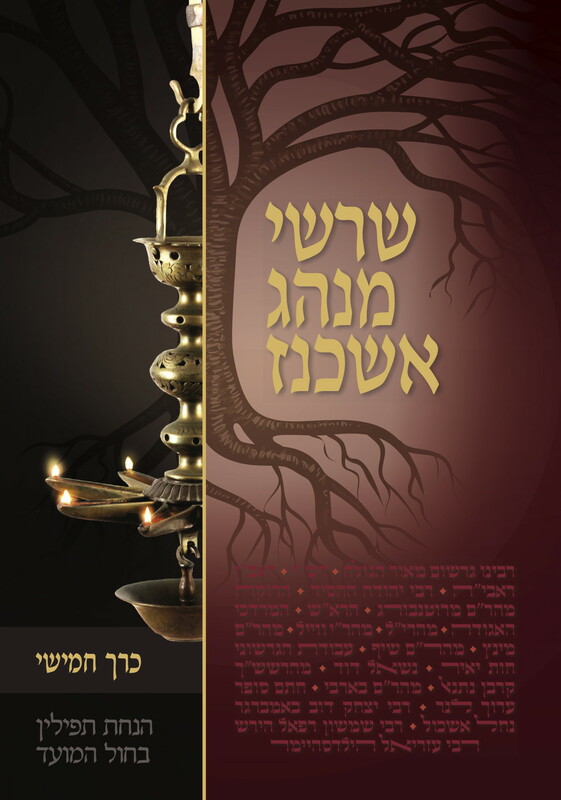 Intended to expand to tens of volumes, the series is currently comprised of four, which include a wide range of topics such as minhagim of tefillah and shul, Shabbos and Yom Tov, marriage customs, yoledes and bris milah, as well as a variety of other minhagim. Those who do not have time to read every chapter in its entirety will nevertheless gain satisfaction from the synopses found at the end of each one. 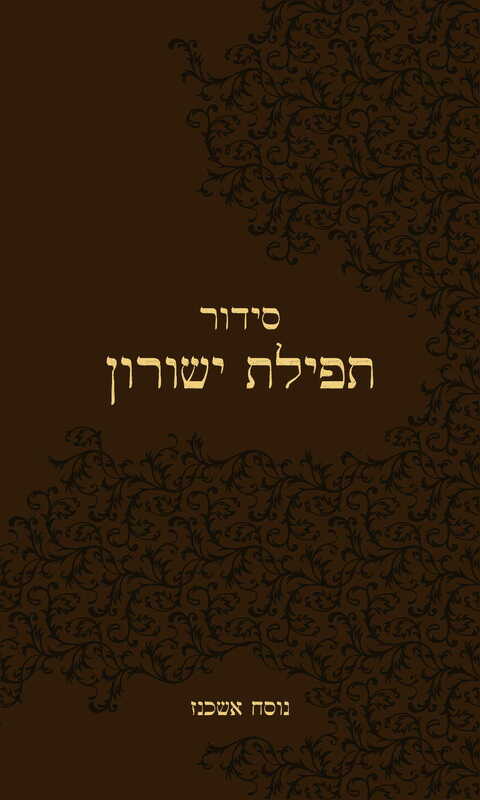 Despite the great demand for an English translation, this work is thus far available only in Hebrew. However, the synopses following each chapter in the first four volumes have been translated and collected in one volume, so that English readers will be able to find the salient points for their research.